Those of us that like ceviche, usually love it. We recognize fresh fish as a special treat that requires so little cooking that the acid of lime juice can be used without any heat at all. This traditional Mexican dish is not only appropriate for this Cinco de Mayo holiday but also for spring – to get in the mood for summer. I’ve written previously about my grandmothers exceptional Mexican recipes, many of which she learned while cooking in Mexico. 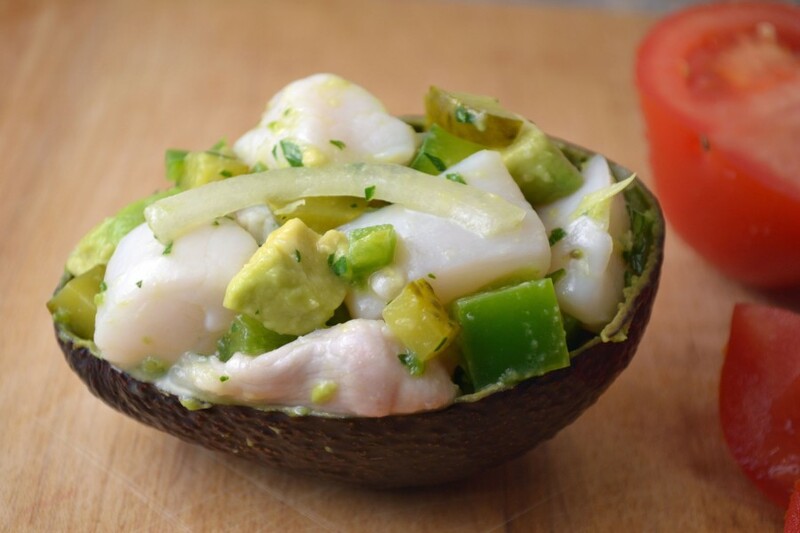 This ceviche recipe definitely falls into that exceptional category. However, there are two very important aspects of this dish that can make or break it. 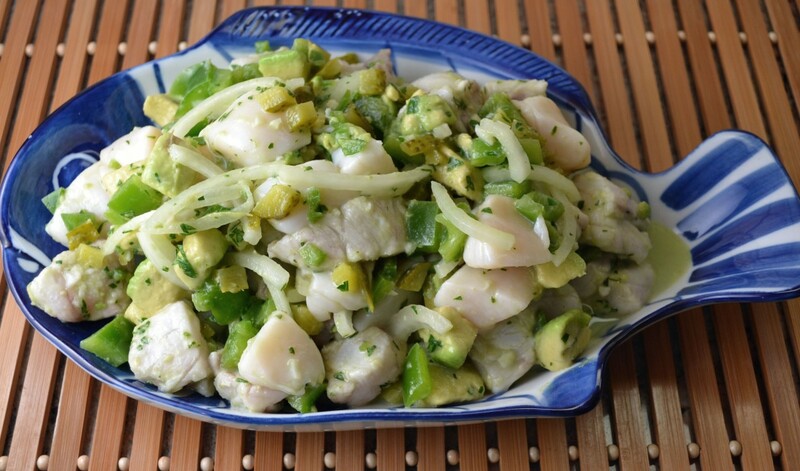 The fish, which is marinated in lime juice for 3-4 hours, must be extremely fresh. Do not use frozen or anything that smells even the slightest bit fishy (ironically fresh fish should always have a clean smell, never fishy). Otherwise, you will be able to taste that fishiness all throughout the finished dish. The other important aspect is the hot pepper. I recommend Serrano or even Jalapeño but as many of you may know, the heat of each pepper can vary. For this reason, stay away from using the seeds and add the pepper last, a little at a time, while combining and tasting. My grandmother served this ceviche (while it was a work in progress) at one of her many dinner parties with James Beard and Craig Claiborne. My father was the designated dishwasher for these parties and he could always tell if a particular dish was well-liked by the leftovers on the plates that came back in the kitchen. Despite the lovely plating (in red cabbage cups), the ceviche came back virtually untouched on every plate. It turns out the hot pepper she used was so spicy that it made the dish inedible. Needless to say, my grandmother was mortified. However, this happens to the best of us and she definitely perfected the ceviche after that incident (and before it was published in “The Art of Good Cooking”). It is now by far the best ceviche I’ve ever had. Note: Any combination of fish maybe used. I prefer to use just scallops and fish and skip the shrimp but I’ve listed the fish proportions as noted in the cookbook. Cut all seafood into tiny pieces. Combine in a bowl. Pour lime juice over seafood. Cover bowl and place in refrigerator for 3-4 hours or until seafood has changed color and looks cooked. Drain the lime juice from the seafood. Combine all the remaining ingredients-except avocado- in a separate bowl. Taste. The mixture should be quite well seasoned-slightly sweet and spicy. Pour over drained seafood and toss well. Place in refrigerator till serving time. Before serving, peel and dice avocado. Combine with fish mixture.